There is a huge hole in many branding strategies, SEO techniques and internet marketing agency targeting. That hole is the senior market. This market represents a vast resource that is largely untapped by otherwise savvy internet entrepreneurs, as well as internet marketing agencies. This may be due to the fact that most of the highly successful and famous names in the web, or social media are themselves comparatively young. Search the internet for a picture of Mark Zuckerberg, the founder of Facebook or Jack Dorsey, who started Twitter. You are going to see relatively young-looking faces for people who have a net worth of billions of dollars. In fact, both Facebook and Twitter were ideas that occurred to their inventors when they were college students, not that long ago. Most of the people working today in the field of digital marketing are at most in their 40’s. In Silicon Valley, there is a code word for the age group born after 1985; they are called “digital natives.” The name implies that these young people have a natural affinity for the digital world that older individuals just cannot develop. This is false. In fact, younger seniors (age 65 to 70) have digital use patterns that are very similar to the population in general. Recently, a Pew Research Center study found that 82% of Americans aged 65 to 69 and 75% of those in the 70 to 74 year old group are online. When they are online, they are reachable. The people who develop branding strategies, SEO techniques or any form of digital marketing solutions, must take note of this digital reality. The most common use that seniors find for digital media is simple: the web search. This means that they look to the net for help finding a doctor, an attorney, real estate, travel advice or a good pizza. Beyond that basic function, 69% of seniors (according to Pew) visit social media sites. This market is a huge opportunity waiting for digital marketing solutions directed specifically to its constituents. Search engines are now the primary way mature consumers are gathering information. 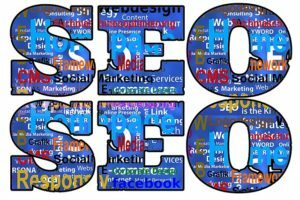 To be effective, your digital marketing solution needs to include strong search engine optimization (SEO techniques) and branding strategies, ensuring that you are being seen and remembered by your prospects. One of Axiom’s clients, Ourseniors.net, is directing its focus straight at this under-served market. Its website covers a range of the subjects that are of concern to seniors. Ourseniors.net offers seniors a website that is rich in useful content and engaging in presentation. Because it is focused on senior issues and concerns, it is followed by a market segment that has specific needs. It concentrates on putting specialized professionals like elder-law attorneys, senior real estate specialists or senior financial planners in touch with their natural consumers. Its printed publication, OurSeniors.net Magazine, is also made available online. If you are a small business operator, a professional practitioner or an entrepreneur, maybe this is a way to put your products or services before the senior market. Axiom Administrative Services can put your branding strategy and existing digital marketing solutions into this already functioning web vehicle. If you would prefer to create your own web presence aimed at this rich market, Axiom can do that as well. Axiom is more than an internet marketing agency. Axiom understands the needs of small businesses, professional practices and nonprofits. Our digital marketing and business marketing teams are able to combine traditional marketing techniques like printing and direct mail with creative web services. Please visit us to find out how Axiom Administrative Services can fill your digital marketing needs, or call Axiom at 800-888-6348. The exceptional thing about our time is not change itself; that has always been with us. The new and unique element is the speed of change. In a single decade, things that we may never have heard of previously have become central to our lives, and today they are an absolute necessity for building a successful branding strategy for any small business or professional practice. Internet technology and digital marketing solutions especially, have changed a lot over the last decade. Today, internet use, digital marketing solutions and branding strategies revolve much more around social media than ever before. New technical abilities have made it possible for customers or clients to “check out” a business or professional practice from their laptop or mobile device without even leaving home. “Word of mouth” is still an effective form of marketing, and it is an essential part of a good branding strategy. But today, that word can be spread faster and farther by platforms like YouTube, Facebook, Yelp or even specialized tools like Zillow. Now is a good time to think about some of these changes and ask if your digital marketing solutions and branding strategies are keeping pace. How is your business or practice relating to new realities like these? Online Reviews. A decade ago only about a quarter of online users would check a review for a local business. In 2017, 97% of consumers looked online for local businesses, with 12% looking for a local business online every day! 53% of potential customers search for a local business one or more times per month. Old-fashioned customer service is still a key to success, but the way that customer service is reported to others is changing. Video Is Now Essential. Ten years ago, online video was considered something of a novelty, an amusement that was not part of any branding strategy or digital marketing solutions. Now, many experts predict that more than 80% of all internet traffic will be video by 2021. This is a tsunami, a trend that has changed small business marketing and branding strategy forever. Mobile Is Your ‘New Best Friend’. Internet traffic originating from smart phones and other mobile devices surpassed traffic from computers four years ago. For any branding strategy, it is time to think mobile first. This is a major trap for users of cheap web design; so much of it looks at mobile compatibility as an afterthought. It is not! Mobile appearance should be one of the first things on an internet marketing agency’s checklist. Get it done professionally. Facebook Is Still King (and Queen). Maybe Facebook sites are not the best places to go if you are looking for hard news, but this has not affected the site’s usefulness in building branding strategy and fashioning a digital marketing solution. Ten years ago, most businesses did not have Facebook pages. 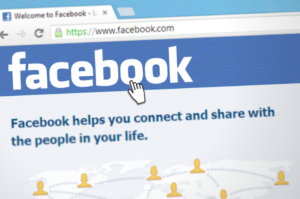 Small businesses have hugely increased their adoption of Facebook. 2018’s consumers expect to get customer service support, location and contact information, customer reviews and other important information from social media, and Facebook is still the dominate social media force. If you do not have a Facebook page, the time to get one is now. If you are struggling to find digital marketing solutions that work, branding strategies that make your business stand out and social media presence that keeps you in the customer’s mind, turn to Axiom. Your business deserves more than a cheap web design, and Axiom is more than an internet marketing agency. 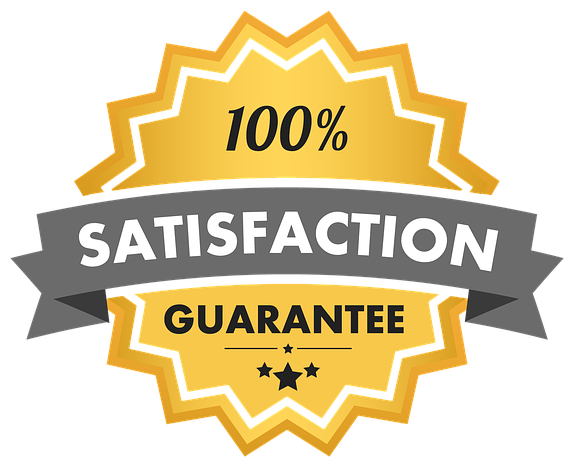 Axiom Administrative Services has the professional skill and small business SEO skills needed to get your web presence the ranking it deserves. Axiom pros can produce the quality video, graphic and written content you need to dominate local small business SEO. Axiom Administrative Services understands the needs of small businesses, professional practices and nonprofits. Please visit Axiom’s small business services page or call Axiom at 800-888-6348. Making your business, service or professional practice more accessible and trusted is a key element in any branding strategy. A good logo design service, the best SEO services and even direct mail marketing by professionals can go a long way in promoting that branding strategy, but there is one more factor: you must be recognized as an expert in your field. This is true whether you are a patent attorney, a web designer or a plumber. There are several ways to gain this recognition; testimonials from past clients or customers and examples of completed work have always played a part in branding strategies. Sharing expert or professional knowledge has been more limited because most people had no way to do it. If you were a famous attorney or doctor, you might publish a book, but this was beyond the means of most people. Today, thanks to AXIOM, it is not! It establishes and builds your reputation as an authority. Instead of telling people that you are an expert, show them by example. It expands the scope of your service, product or professional practice. By sharing your knowledge in a specific area, you lead the customer or client to trust you with other matters. Digital marketing solutions provide you with an avenue to share what you know while using branding strategies that establish you as a leader. Your newsletter can include information about your product or service that serves to educate the reader. Professional practices like physicians, dentists, chiropractors, attorneys, CPAs and others can make especially good use of news letters to share their knowledge about complicated subjects. Read about how AXIOM can help produce a newsletter by clicking, Have You Considered a Newsletter for Your Clients? If a regular newsletter is too much time and effort, consider sharing your knowledge on social media like Facebook or YouTube. Show people how to install a shower head that does not drip, how to fill out a W-9 form or to register a car in the state of Florida. No matter what business or profession you are in, you almost certainly have some kind of special knowledge that will be of interest to potential clients or customers. If you have never done this, AXIOM can show you how easy it is to incorporate social media into your branding strategy and digital marketing solutions. You can see some examples of AXIOM’s work on social media by clicking A Click is Worth a Thousand Words. Axiom can develop digital marketing solutions and coordinate services like small business SEO and direct mail marketing campaigns. Start now by thinking about your needs and then contact Axiom Administrative Services by clicking the link, Axiom Administrative Services or call Axiom at 800-888-6348. A lot of attention is given to social media sites and their influence over everything from national politics to who the best rapper is. Politicians, news media, auto makers, sports teams, famous athletes and entertainers all recognize the importance of social media. In fact, many well-known people, products or causes now owe their fame entirely to social media. When you think about digital marketing solutions or branding strategies for your small business, non-profit or professional practice, social media cannot be ignored. It is becoming the most important way in which many (or most) people get information, form opinions or interact with others. When building a branding strategy or digital marketing solution, we make the following definition- Social media is any web-based communication tool that enables people to share or consume information. This information may be simple text messaging, fixed webpages like those on Facebook or general websites, audio material that can be heard or downloaded from the web or audio-visual presentations like those on YouTube. You and your business, non-profit or service provider organization will have a ranking in the social media world, but what about ranking the social media sites themselves? Some of the results may surprise you. The website, Statista has ranked social media sites according to the number of active users each has. No one is surprised to learn that Facebook with over 2 billion users is the most popular social media website. Not bad for a business that started in a college dorm in 2003. Number 2 is YouTube with 1.5 billion users. This does surprise many people because they have not even thought of YouTube as a social media. It is, and it is used more and more to express opinions, share knowledge and to sell products. Several of the top social media sites are essentially messaging services for sending and receiving text over the internet. Number 3, WhatsApp, Facebook Messenger (number 4), We Chat (5) and QQ (6) all fall into this category. Number 7, and the fastest growing, is Instagram, a photo and video sharing service that allows users to exchange pictures and video freely. It may surprise you to learn that Twitter, even with it famous ‘tweeters’ like President Trump comes in at only # 10 (328 million users). You may think you know your own communication devices, but have you ever thought about what your computer, your browser, mobile device knows about you? They probably know your present location, your home address, where you shop and what you buy. If you have been looking at new car ads lately, they know you may be in the market for a car loan, auto insurance or auto repairs. Try this- choose a professional practice in your local area, an ophthalmologist for example. Then search for their office phone number. That’s all, do not actually call them. There is a good chance that you are going to start seeing pop-ups for laser eye surgery soon. You may get ‘buy-one-get-one-free’ offers for eyeglasses or ads for contact lenses. 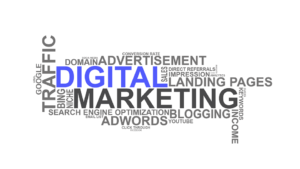 Digital marketing, especially search marketing, has made it possible for businesses and service providers to target their advertising dollars directly at the people who need them. Digital marketing and search marketing have had a powerful effect on internet marketing strategies and business marketing in general. It is no longer enough to merely have a good business website, or even an effective SEO marketing plan. 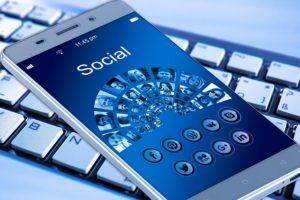 Today, new techniques like social media marketing and social network marketing are making the old web marketing strategies obsolete. If your business marketing, digital marketing or internet advertising plan is more than a year old, it is probably out of date. The digital marketing and search marketing experts at AXIOM ADMINISTRATIVE SERVICES are ready and able to bring your internet marketing into this new age. The power of social media marketing, search marketing and social network marketing is simply too great to ignore. If you are struggling with your internet marketing and online advertising problems, it would pay you to turn to a professional online marketing consultant. Axiom Administrative Services has the professional digital marketing skills needed to guide your web presence to the rankings it should have. Visit AXIOM’s small business services page by clicking this LINK or call Axiom at 800-888-6348. The operators and staff of non-profit organizations are exceptional people, working for the common good of the people they serve. Still, non-profits are not exceptional in their need for digital marketing and internet presence. People cannot donate to or make use of your services if they do not know about you. Please read, “Give and It Will Be Given to You” for insight into non-profit marketing needs. Axiom Administrative Services can meet the digital marketing needs of specialized professional practices. Click on Legal and Financial to see some links to Axiom’s work with attorneys and financial planners.